Welcome to HARBOUR COVE, one of Vancouver's sought after locations. 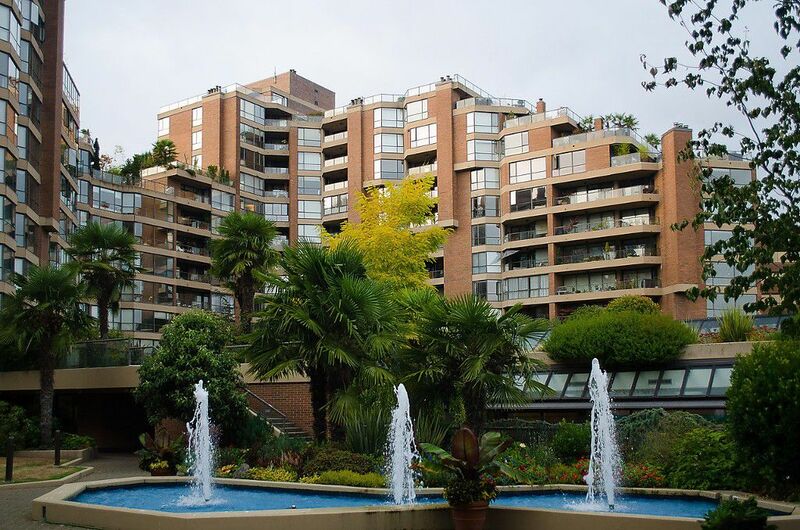 Enjoy all the luxury amenities that this building and Vancouver has to offer. Within steps from your building you will find Granville Island, the Sea Wall, Kits Beach, South Granville shopping and so much more! This gorgeous renovated extra large one bedroom has everything you could ask for. From the moment you enter, you'll appreciate the spacious open plan & wide plank oak hardwood floors throughout. The chef's kitchen has beautiful quartz countertops, glass tile backsplash, plenty of storage & newer S/S appliances. The spa-like bathroom leads to a custom built-in closet area & huge master bedroom that easily accommodates a king sized bed. With views of palm trees and lush gardens within the beautifully landscaped inner courtyard, your private patio is perfect for gardening, enjoying the morning sun & BBQing. One of the few waterfront locations that allow you FREEHOLD ownership with great amenities (indoor pool, hot tub, sauna, gym, squash court, and party room). Sorry, no pets.